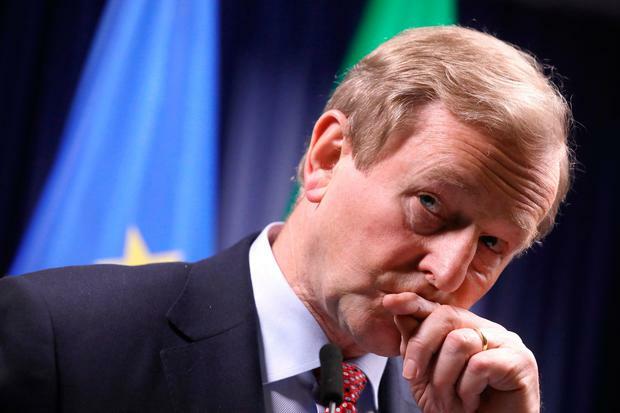 Taoiseach Enda Kenny has been told that if he does not step down as leader before the second week of June he risks causing internal chaos for Fine Gael officials tasked with organising the leadership election, the Sunday Independent can reveal. There are growing concerns among senior figures in Fine Gael headquarters that plans to hold an orderly election campaign during the Dail's summer recess could be scuppered if Mr Kenny remains leader beyond June 10. Officials fear being faced with an "administration nightmare" if the Taoiseach does not step down at least three weeks before the annual deadline for Fine Gael supporters to register as members on July 1. Organisers are anxious to use last year's membership register as it is fully complete and accurate. They fear being faced with having to compile a voter register during the summer months while also organising a nationwide leadership election. "If he doesn't go by June, and he has been advised of this, he runs the risk of causing a chaotic situation because numerous branches will inevitably not be registered and the voter register will be open to multiple challenges," a senior Fine Gael source said. It is understood Fine Gael general secretary Tom Curran recently told Mr Kenny about the problems posed by the Taoiseach remaining in office when the annual registration for membership opens. However, a Fine Gael source speaking on behalf of Mr Curran said: "No-one whatsoever told the Taoiseach he had to go but he has been made aware of the issue." Mr Curran is a close friend and a long-time supporter of Mr Kenny. If Mr Kenny is still leader when registration opens on July 1, the electorate for the leadership contest will be based on those who registered this year and have been members of the party for two years. However, if he steps down before June 10, the electorate would be based on those who registered as members last July. The Sunday Independent has also learned Mr Kenny will be attending an Ireland Funds dinner in London on May 19 in his capacity as Taoiseach. The news is sure to add to frustrations in Fine Gael headquarters where organisers feel they are been hamstrung by the Taoiseach's refusal to set out his departure timeline. Mr Kenny lashed out at reporters during a State visit to Canada last week when he was asked if he would be telling his parliamentary party about his exit plans this week. In response to the question, an angry Mr Kenny said: "I can't believe, actually, that you have travelled this distance to ask a question like that." Fine Gael members have speculated that the Taoiseach would not make his intentions known at this week's meeting as he would not want to overshadow a crucial European People's Party (EPP) meeting in Wicklow on Thursday and Friday. Mr Kenny will address the two-day conference as will EU Commission's Chief Negotiator on Brexit, Michel Barnier. Separately, it has emerged Fine Gael headquarters have discussed live streaming leadership hustings on the party's website to appease the demands of candidates Leo Varadkar and Simon Coveney to take part in televised debate.